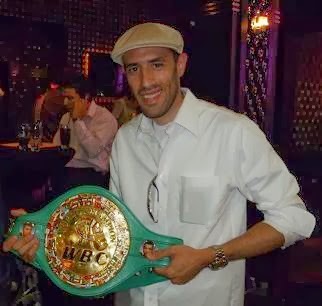 NEW YORK, NY (June 16, 2011) – From Sergio Martinez to Chad Dawson, Andre Berto to Tim Bradley, the stables of boxing promotional entities DiBella Entertainment and Gary Shaw Productions contain some of the most prolific names in the current boxing landscape. Tonight, however, the head of the respective companies, Lou DiBella and Gary Shaw, will show their appreciation for years past as they team up with local PBS affiliates to present New York Fight Clubs, a twenty-five minute retrospective on professional boxing in New York City at the turn of the twentieth century, focusing on neighborhood venues and the ethnic rivalries that were formed. DiBella served as the program’s executive producer and boxing consultant, while Shaw is the show’s producer and chief financier. New York Fight Clubs airs at 10:30pm on WNET (New York City) and WLIW (Long Island). Check local listings for channel number and re-air times. Featured interviewees include author Jimmy Breslin, boxing historian Mike Silver, trainer Bobby Jackson, and Newsday boxing correspondent Bobby Cassidy, along with his father and former top contender in the 1960s and 70s, Bobby Cassidy.